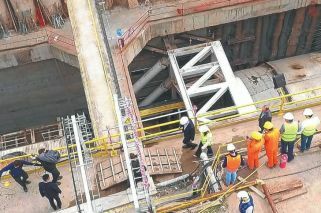 Odebrecht, the Brazilian construction conglomerate that now finds itself at the centre of a huge corruption scandal, held a key role in the Sarmiento rail underpass project until this month. The scheme,which has barely progressed since it was announced in late 2005 is a perfect example of how public works projects in Argentina can quickly spiral out of control. The Sarmiento rail underpass was Odebrecht’s most important infrastructure project in Argentina. Foto:Cedoc. How does a tender for a US$889-million public works project morph into a contract for US$3 billion? Somehow the Argentine authorities, Odebrecht and their partners managed to do so. Fine-tuning engineering aspects of the project; ‘correcting’ the original blueprints; new wheels within wheels; ‘practical’ issues; tax questions; deadline extensions – these are some of the official reasons given to explain why the three main contracts Odebrecht and its partners held in Argentina ended up costing so much more money. To many, news of questionable costs and Odebrecht will come as no surprise, but three of the Brazilian firm’s contracts in Argentina – for projects including the Sarmiento rail underpass, the Tigre water purification plant and gas pipeline extensions – have something in common which also reflects how public works projects function in this country. The case of Odebrecht is just one of so many examples of how the construction sector operates as a slush fund in Argentina. Once a company and its local allies have clinched a tender at a price which has been audited, all sorts of addenda and administrative notes start appearing, with changes in the state funding for these projects. All this above applies to the pipeline extensions, the Sarmiento project and the Paraná de Las Palmas water purification plant in Tigre. For now, let’s focus on one of those projects, the second, one not unconnected to this week’s news since it involves both the railway system and former Federal Planning minister Julio De Vido (the factotum of public works for 12 years), whose trial for the 2013 Once rail tragedy began on Wednesday. With a total budget of US$3 billion, the Sarmiento project has barely crept forward since its tender first went out. Various estimates in the Argentine press over the last year have put the project’s completion at between three or 15 percent complete since it was first announced in late 2005 during the Néstor Kirchner presidency. Almost nothing happened before last October when President Mauricio Macri inaugurated the Haedo station tunnel. The government is now shooting for completion in 2022, but it will take US$1.1 billion just to finish the first of the three stages in the original project, an official source told the Perfil newspaper back in August. This week, Italy’s Ghella completed the formalities of buying out the remaining 33-percent share held by Odebrecht in the Nuevo Sarmiento consortium, thus taking its holding up to 71 percent. In the process the underpass consortium has changed its name to G&S (Ghella and Sacde). The latter, representing the company which Marcelo Mindlin bought early this year from Macri’s cousin Angelo Calcaterra, accounts for the remaining 29 percent. Empire-building. In the years between 2006 and 2016, Odebrecht at any rate had its own decada ganada in Argentina. During the presidencies of Néstor Kirchner and Cristina Fernández de Kirchner (2003-2015), it enjoyed its biggest gains – deals agreed for the gas pipelines, the Sarmiento underpass, the water purification plant, contracts with the Brazilian mining company Vale and YPF, among others. 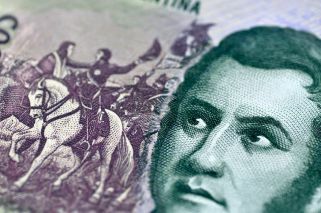 Macri’s first year in office, 2016, saw further advances for Marcelo Odebrecht – fresh funding for the underpass and a gas pipeline project in the province of Córdoba was secured – in contrast to the corruption scandal that was unfolding in Brazil. But toward the end of that year, details from Operation Lava Jato (“Car Wash”) started penetrating south of Curitiba, appearing in some Argentine media. Especially after the disclosure of a US Justice Department document revealed the confessions of the Brazilian engineering firm’s executives, saying that they had paid “at least” US$35 million to bribe Argentine officials between 2007 and 2014. The report spoke of “at least” three infrastructure projects being compromised, revealing that the company netted economic “benefits” of US$278 million in Argentina during that period. Odebrecht has three major infrastructural works in this country: the rail underpass, the water purification plant and additionally, the Escobar aqueduct. Yet none of the whistleblowing executives in Brazil has mentioned engineering projects, thus leaving the gas pipelines off of the list of projects believed to have involved corruption. This relates to the way the Brazilian firm is structured. Odebrecht breaks down into two main branches: infrastructure (to which the company likes to refer as “cement works”) and industrial engineering (using metal and specialising in gas and oil projects). The gas pipelines are considered as engineering projects, not infrastructure ones, by the firm. Yet on June 4, Investiga Lava Jato – a collaborative group of journalists in Latin America and Africa – and Perfil revealed, quoting records from Odebrecht’s Structured Operations Sector (a glorified name for its bribery department), that bribes had been paid for Argentine dutos (“tubing”) and the the San Martín gas pipeline. Those projects earned Odebrecht its first significant charges in Argentine courtrooms, back in 2007 when the Lava Jato scandal was far from breaking surface – charges which have yet to go anywhere. In federal courts, Lava Jato has triggered new criminal investigations against Odebrecht and the national authorities, taking old charges such as those concerning the gas pipelines out of their mothballs. The possibility of a deal with the engineering giant to obtain the collaboration and testimony of its executives however does not seem viable in Argentina since guaranteeing whistleblowers immunity is against local law. In the face of that scenario, the courts and the government have begun to probe presumed overpricing in search of evidence which can be used against the company and the authorities of Kirchnerite administrations, now out of power. Odebrecht's jewel in Argentina. The Sarmiento rail underpass was Odebrecht’s most important infrastructure project in Argentina. Notes from Marcelo Odebrecht’s iPhone (confiscated by Brazil’s Federal Police) show the businessman’s obsessive interest in this ambitious project – a tunnel permitting one of the fullest trainlines in the country to connect the western districts of the Federal Capital with Buenos Aires province, from Once station to Moreno. According to the tender, the Sarmiento line would carry some 110 million passengers every year. The first stage of the project covered some 1.5 kilometres of tracks between the stations of Once and Liniers. On October 29, 2006, the then- transport secretary Ricardo Jaime approved three business consortia to bid in the underpass tender – Benito Roggio e Hijos SA competed against a group headed by Iecsa (owned by Angelo Calcaterra, the cousin of then- City mayor Mauricio Macri) together with Odebrecht, Spain’s COMSA and the Italian Ghella, while Isolux y Esuco SA was the third consortium. The winning bid came from the Nuevo Sarmiento consortium (consisting of Iecsa, Odebrecht, Ghella and Comsa). In June 7, 2007, after public hearings, the project was expanded to three stages covering 36 kilometres and 16 stations. Jaime only allowed 20 days for new offers and none were forthcoming. Cristina Fernández de Kirchner became president in late 2007. The consortium including Odebrecht won the public tender only six weeks later on January 23, 2008. It had made the most economic offer for the first stage – 2,798,956,410 pesos or around US$900 million, according to the exchange rate then. But it was effectively granted all three stages of the project. Less than a year later, on December 23, 2008, the Argentine state signed a contract for 11,702,929,915 pesos (or US$3.421 billion according to the then exchange rate) for all three stages, which had never been put out to tender, thus quadrupling the consortium’s winning bid. When that contract was signed, the cost of the first stage had already climbed from 2,798,956,410 to 4,074,309,610.56 pesos – an increase of 31 percent for almost US$373 million more. In practical terms, nothing much happened after that as the consortium could not guarantee the financing in the light of the steep costs, not even from the National Office of Public Credit. The initial promise of a credit from Depfa Bank PLC and Crédit Suisse fell afoul because of the 2008-2009 international financial crisis. By 2010, Fernández de Kirchner had taken the decision to finance the work from the Treasury “on a transitory basis until international funding is obtained” with the programme entrusted to De Vido’s Federal Planning Ministry. The first money was advanced in May of that year. On February 15, 2011, the first stage was extended two stations to Haedo, upping the cost to 5.96 billion pesos (or US$1.482 billion at that time), which Odebrecht sources claimed to be a net saving of 55.2 million pesos (US$13.7 million). Outside funding finally arrived in mid-2013 when Odebrecht announced that the BNDES Brazilian Social Development Bank had committed itself to financing half the project with a credit of US$1.5 billion. On that occasion Marcelo Odebrecht formally met with De Vido as well as Fernández de Kirchner in July, repeating the encounter in the following month. Despite the credit however, work remained at a standstill. The money never arrived and nobody ever explained why. Early in 2010 Manuel Vázquez, a key advisor to Jaime, pressed Odebrecht for a payment of US$80,000 from the company’s offshore Kleinfeld account (since proved by the Brazilian court investigation to have been used for graft) which Brazilian investigators subsequently understood to have been a bribe demand. In 2013, in her second term Fernández de Kirchner switched the administration of the work from the Federal Planning Ministry to the Transport and Public Works Departments (both under De Vido’s ministry) and the Economy Ministry. Juan Pablo Schiavi had since replaced Jaime as Transport secretary. The new management made various adjustments in the planning but there was scant progress. The underpass was already arousing suspicion. Ernesto Osvaldo Selzer, the official in charge of the actual works, released a report estimating the overpricing of the US$3- billion project at US$1 billion, repeating this accusation this year when testifying before federal prosecutor Federico Delgado in the embezzlement trial of former Kirchnerite Public Works secretary José López. Selzer refused to approve the demands of the underpass consortium. “I had never seen a contract like that,” he told Delgado, adding that the advances to the companies were doubled and that they enjoyed complete discretion to fix the final cost of the project. Enter Macri. Almost 10 years after the contract was signed, the project was still barely off the ground. The work remained paralysed until 2016, hen Macri (cousin to one of the partners of the Brazilians) took office and earmarked 45 billion pesos (US$312,934,631 at that time) by presidential decree to revive the project. This triggered a scandal due to the familial relationship and the suspicions already falling on Odebrecht in Brazil. Congress withheld its approval and the funds were not released. By then the emails of Vázquez had already brought the project under judicial scrutiny in Brazil. Between December 23, 2008 (when the contract was signed) and 2016, when the project was revived, the first stage of the underpass rose from a cost of US$1.191 billion to US$2.2 billion (including IVA value-added taxation) – some 35.7 billion pesos, far removed from the original pricing. Measured against the bid whereby the consortium won the tender, the difference is even greater. The engineering work, the costs and the scale of the project were all tweaked along the way. 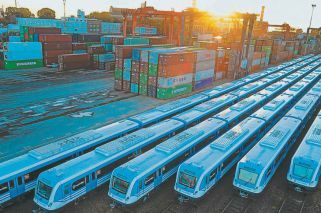 International financing collapsed at least twice and the project only advanced by a “few percentage points” in eight years, according to official sources. They also reply that “the variation of sums within the contractual framework can arise, for example, from the development and execution of the construction engineering.” In other words, the value of the contract can be increased by modifications in the engineering design. The Sarmiento story, however, does not end there. Just this week, Italian construction firm Ghella took a large step toward securing the control and funding of the project. Ghella acquired Odebrecht’s stake in the Sarmiento Railway project in late June, taking its participation in the consortium in charge of the works to 71 percent. The remaining 29 percent is in the hands of Sacde, the firm recently acquired by Marcelo Mindlin. Sacde was formerly named Iesca and was originally founded by Franco Macri, the president’s father, who then sold it to Angelo Calcaterra, the president’s cousin. After buying out the Brazilian firm’s (and its former partner) stake, Ghella’s executives brought a US$1.1-billion loan offer to the Transport Ministry. The loan, which hasn’t been secured but is said to be in advanced negotiations, is backed by HSBC, Intesa San Paolo, Deutsche Bank and the Italian Foreign Credit Agency (SACE), which hasn’t invested in an Argentine project in 20 years, according to the Ministry. Perhaps now, some 12 years after the project was first announced, a little shard light may be appearing at the end of the 19-kilometre tunnel at the heart of it.